Murder on the Dancefloor? It’s just Halloween Weekend at The Night Owl! Fresh from a summer of festival appearances including Moseley Folk Festival and Lunar Festival. 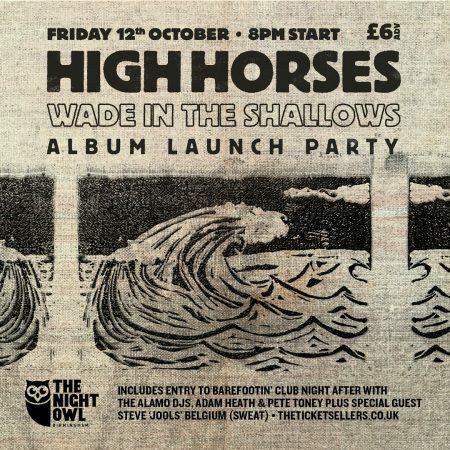 Birmingham based folk-rock outfit High Horses release their long-awaited first album ‘Wade in the Shallows’ on Friday 12th October with a launch party at independent live music venue The Night Owl. The band, led by brothers Adam and Simon Heath, have a distinctive sound that comes from the use of traditional folk instruments in a style of music more influenced by rhythm and blues, soul, and rock. Pictured above: Adam Heath. Image by Nikki Rogers. Pictured above: Simon Heath. Image by Nikki Rogers. After busking together for years, a chance meeting between the brothers and Becky Walker (saxophone and flute), led to her joining them. 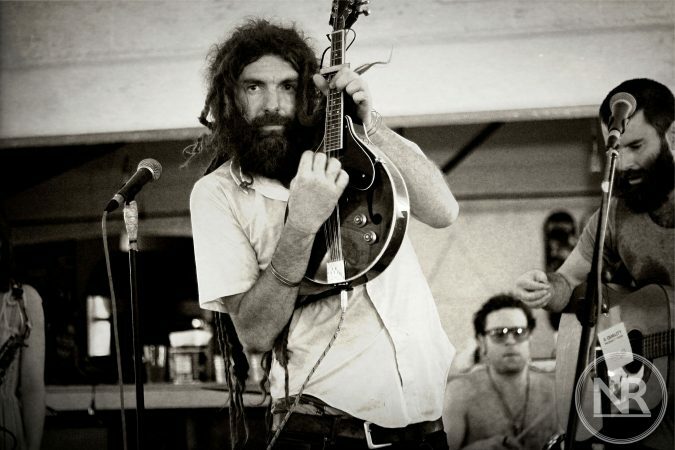 Adam and violinist Karl Smart became neighbours and friends, and Karl soon started playing with the band too. Next, they recruited old friends and experienced local musicians Saul Hillier – bass (Courtesy Group), and Charlie Smith – drums, voice (360). 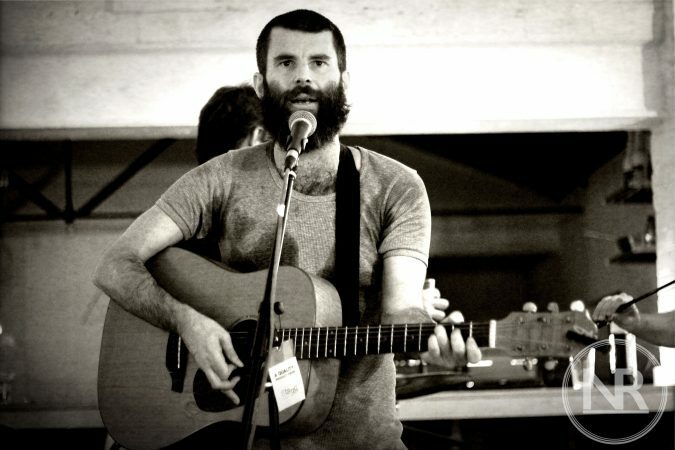 Charlie’s addition as a singer harmonised perfectly with Simon’s voice, establishing the band’s signature three part harmony style. Songs include fan favourites written by Simon, such as Light a Fire and Waiting So Long, which have been adapted and updated to the band’s current style. The chords and melody of the newer songs were written by Adam, with the band writing the arrangements together. These songs are the first ever to not only be written by Adam, but also to feature him taking lead vocals, previously having been well known as a drummer on the local Birmingham music scene, particularly with local legends Velvet Texas Cannonball. This newer material tells tales of madness, death, and excess; including a triptych of songs telling a story of walking into the sea and living under the ocean, to try to escape the pain and perils of everyday life. “Deep, melodic led folk meets a country twang in lyricism in their single from the album ‘Blood On The Streets’, a sombre starting number with flicks of flint and ash. The earth then splits in two and a fire roars as the song climaxes to a Tarantino-esque finale worthy of the same amount of cult status. If this single is anything to go by, ‘Wade In The Shallows’ is going to be a deep, atmospheric ride of folk and blues, blended together with feel good, foot stomping and chorus cheering country.” Sophie Hack, Counteract. 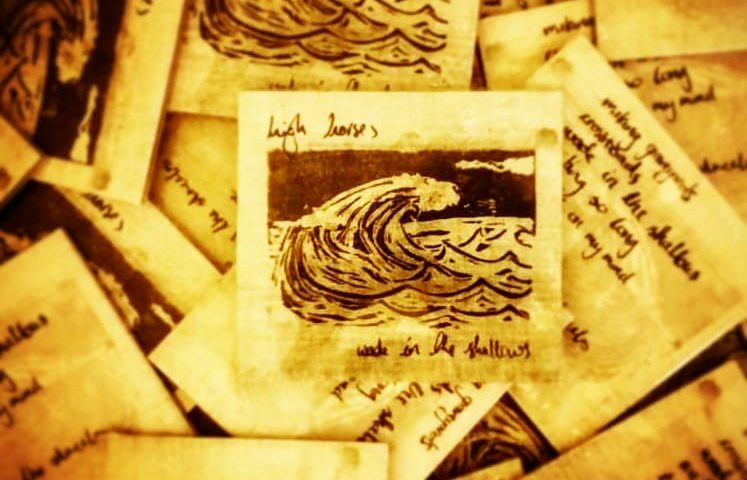 ‘Wade in the Shallows’ will be available from Friday 12th October on Spotify, iTunes and Apple Music and also on CD from Polar Records (Kings Heath), and live shows. The ‘Wade in the Shallows’ launch party is this Friday from 8pm at The Night Owl (Digbeth), tickets are on sale here.